myCII.in - The Online Business Resource Centre of Confederation of Indian Industry (CII), offers a world of opportunities for industry by giving access to pool of knowledge, business leads and networking opportunities. 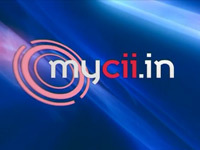 'myCII.in' includes premium Research Reports, recordings of CII's Conference Proceedings, thousands of industry sector specific Presentations, Online Master Classes, Webinars, Investment and Policy Trackers, Government Notifications, B2B Opportunities and online Database of CII's Member Organizations. Business - Get in touch with the who's who of the business world. A platform for MNCs and SMEs alike for B2B opportunities with users from various sectors of the industry, to discuss trends in the market, upcoming business initiatives and interact with peers. Knowledge - myCII.in enables industries to derive value by getting access to vast knowledge resource base on Competitiveness, Industry Sectors, Economic Outlook, Policy, Market Intelligence etc. Info Tracker - myCII.in helps industries to keep updated with the latest Government notifications from State and Central Government, Policy, Investment and Parliament Tracker Schemes for SMEs etc. 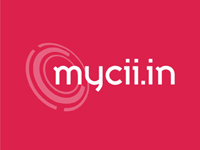 Communities - myCII.in online communities enables representative from the industry to be a part of various sectoral and functional communities for peer to peer network as well as to seek advice and guidance form experts. Special Services - Access various special services offered to myCII.in users for business. Since the interest and requirements of each functional head would differ based on their job requirements, myCII.in is meant for and is open to multilevel participation. 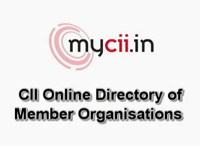 Log onto myCII.in today to help you build better business prospects! Social Media Share: Interesting information available on myCII.in can now be shared by you through your social media site from the portal!